Leading Manufacturer of rainbow sandstone tile, mint sandstone tile, agra red sandstone slabs, dholpur beige sandstone tiles, fossil mint sandstone slabs, tiles and ita gold sandstone tiles from Jaipur. 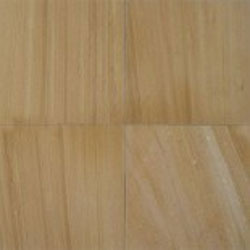 Rainbow Sandstone Tile is made of fine grained quartz and various other minerals. The presence of other minerals lends attractive color to the stone. Depending on the percentage of constituent minerals the color varies in the form of brown, violet and sometimes reddish veins. It is because of the regular color variation that this stone has been named Rainbow. 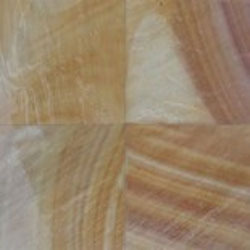 Rainbow sandstone is also available in tiles in sawn finish only. Thickness: 20 - 30 mm, 25 - 35 mm, 25 mm, 30 mm, 22 mm calibration. To fulfill the needs and demands of our clients, we are engaged in offering a quality range of Mint Sandstone Tile which is commonly known as GWL-MINT. Gwalior Mint is most suitable for use in flooring, wall fixing and lining due to its physical and chemical properties. It is the smooth natural split surface which makes it commensurate for flooring. This highly useful stone is also suitable for carving and making stone handcrafted items. Mint Sandstone is ideal for garden paving, wall covering and cladding, Patios, Pathways, Steps, Pool Surrounding & many more applications. 20 - 30 mm, 25 - 35 mm, 25 mm, 30 mm, 22 mm calibration. Top Natural & Bottom Calibrated. Packaging Details: Strong wooden Crates as per the specifications. Agra Red Sandstone also known as Dholpur-RED is one of the most famous varieties of sandstone ever since its use in Agra Fort and Delhi Fort. The stone has high degree of tolerance that does not show weathering effects even for ages. The stone being smooth and soft is easy to be carved and cut and is therefore used in stone handicrafts. We are supplier of Dholpur Beige Sandstone Tiles from Rajasthan. 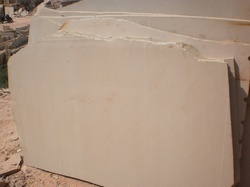 This buff white colored sandstone is one of the highly used sandstone variety. The peculiarity of the stone is the attractive, minor purple veins that are visible when the stone is wet. Owing to its regular bedding, uniform grain size, suitable nature and durability, it has been used from over centuries and is a constituent of a large number of historical buildings and monuments. Yellow Mint Sandstone also known as GWL-MINT, Gwalior Mint is most suitable for use in flooring, wall fixing and lining due to its physical and chemical properties. It is the smooth natural split surface which makes it commensurate for flooring. This highly useful stone is also suitable for carving and making stone handcrafted items. Tiles Sizes: 300 x 300, 600 x 300, 400 x 400, 600 x 400, 600 x 450, 600 x 600, 600 x 900 mm. Edges: Hand Cut, Machine Cut, Tumbled. Finishes: Both sides natural split surface, Top Natural & Bottom Calibrated,Sawn/ Honed. Applications: Natural Tiles, Flagstone, Cobbles, Steps, Kerbstone, Circles, Walling Stone, Coping, Pool Surrounds. We are a highly acclaimed company that offers a wide range of Ita Gold Sandstone Tiles to meet the needs of our customers. This Yellow colored Ita Gold Sandstone having Golden tone is fine grained and bears Brown veins throughout the surface. This brownish touch gives the look of golden finish and hence is also named as Ita Gold Sandstone. This stone is available only in the form of slabs & tiles with sawn, honed, polished & other surface finishes. We are supplier of Kandla Grey Sandstone Blocks from Rajasthan, India.We can supply in undressed form (direct from quarries) as well as all side dressed form. Dressed with Wiresaw & Undressed. 1 or 2 blocks can be packed in container with help of Wire rope chocking. Packaging Details: Packed in container with Wire Rope. Lalitpur Yellow Sandstone also known as LLP - YELLOW this stone is especially meant for exterior cladding in sea shore buildings due to acid & thermal resistant properties. The saline winds have negligible effect on LLP Yellow stone (Lalitpur sandstone). 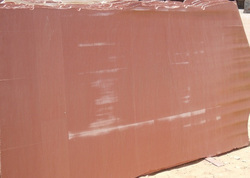 We are supplier of Red Chocolate Sandstone Tiles, Slabs from Rajasthan, India. 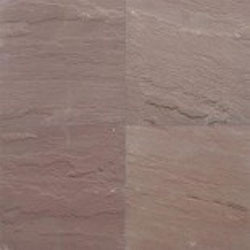 It is also know as Dholpur Red sandstone. This sandstone has high content of iron oxide making it buff to brownish; and sometimes reddish. The most important usage of this stone is exterior cladding and is available in natural & sawn surface finishes. We are supplier of Sagar Black Sandstone paving tiles in various sizes.Sagar Black Sandstone Paving is a very hard material. It is resistant to heat, scratch and weathering conditions. Being a low porous material, Sagar Black Sandstone is ideal for exterior paving in below freezing temperature. 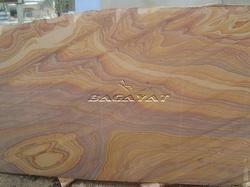 This creamish colored stone is fine grained and bears brown veins in Teakwood Sandstone Slabs through out the surface. 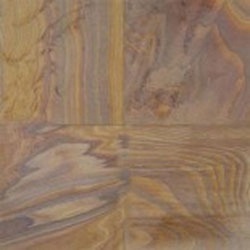 This brownish touch gives the look of wooden finish and hence is also named as teakwood sandstone. This stone is available only in the form of tiles with sawn surface finish, since this stone can not be polished. Raj Green Sandstone also known as Bhilwara-GREEN is a commonly used building stone. Rajpura stone can be easily carved and dressed into various attractive shapes. It finds various applications including - roofing, flooring, paving and paneling. 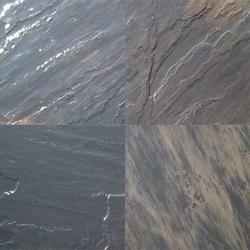 Rainbow Sandstone Slabs is made of fine grained quartz and various other minerals. The presence of other minerals lend attractive color to the stone. Depending on the percentage of constituent minerals the color varies in the form of brown, violet and sometimes reddish veins. It is because of the regular color variation that this stone has been named Rainbow. 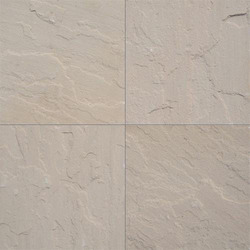 Rainbow sandstone is also available in tiles in sawn finish only. 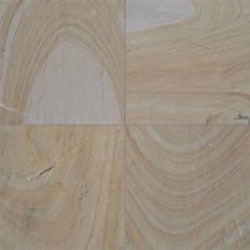 This buff Dholpur Beige Sandstone is one of the highly used sandstone variety. The peculiarity of the stone is the attractive, minor purple veins that are visible when the stone is wet. Owing to its regular bedding, uniform grain size, suitable nature and durability, it has been used from over centuries and is a constituent of a large number of historical buildings and monuments. In the series of our products, we are also engaged in offering a wide range of Autumn Brown Sandstone Tile to meet the demands of our clients. These tiles are well designed and are easy to install at any place. 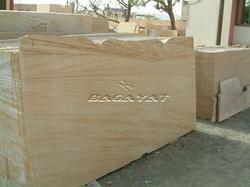 Also known as Bhilwara-BROWN sandstone is a smooth round stone. This stone is made up of grains of quartz and other minerals of fairly uniform size. In order to cater the diverse requirements of our clients, we are engaged in offering a wide range of Kandla Grey Sandstone Tile. It has quartz grains cemented together by secondary silica calcite. 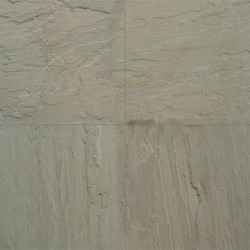 This sandstone is available in three different shades of bluish gray, dark gray and light gray. It is the most popular paving stones which are used for all kind of applications like Paving, Patios, Pathways, Cladding, and Steps etc. 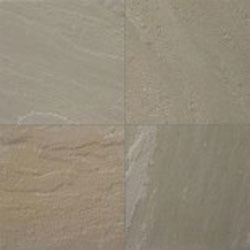 Due to the uprising demands of our clients, we are engaged in offering a wide range of Rippon Buff Sandstone Tile. Rippon Buff Sandstone is being extracted from the quarries based in Bundi, Rajasthan nearby Kota. This sandstone is a hard stones & resistant to chemical weathering. 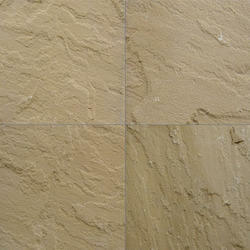 Rippon Buff Sandstone is an ideal stone for outdoor paving, Patios, Pathways & very much popular in European countries. With our skilled industrial workforce, we are engaged in offering a quality range of Mandana Red Sandstone Tile. 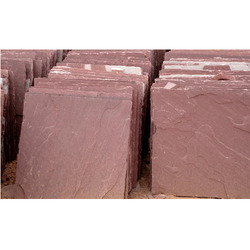 Mandana Red Sandstone is also known as Red Chocolate, Gaja Red sandstone or Rose Quartzite is extracted from the quarries based at Bijolia & Bundi in Rajasthan.The stone, Mandana Red is popular for its strength and compressibility. This sandstone has high content of iron oxide making it buff to brownish; and sometimes reddish.The most important usage of this stone is exterior cladding, paving & flooring and is available in natural, sawn as well as polished surface finishes. Natural Tiles, Flagstone, Cobbles, Steps, Kerbstone, Circles, Walling Stone, Coping, Pool Surrounds. 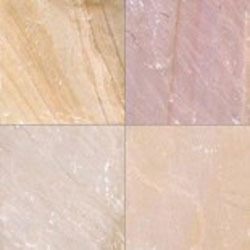 Camel Dust Sandstone Tile Known us as a reputed firm, we are engaged in offering an exclusive range of Camel Dust Sandstone Tile to meet the needs of our customers. Camel Dust Sandstone is one of the most popular paving stone for outdoor paving. Being resistant to chemical weathering, this stone is hard & durable. Rippon Sandstone is extracted from the quarries based in Rajasthan, India. It is used for both interior and exterior applications in format of paving titles, patios, pavement & footpaths. We are a highly acclaimed company that offers a wide range of Teakwood Sandstone Tile to meet the needs of our customers. 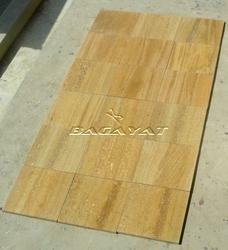 This Yellow colored Teakwood sandstone having Golden tone is fine grained and bears Brown veins throughout the surface. This brownish touch gives the look of wooden finish and hence is also named as teakwood sandstone. 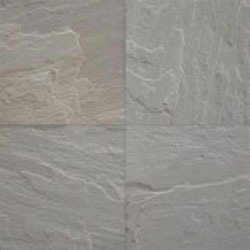 This stone is available only in the form of slabs & tiles with sawn surface finish, since this stone cannot be polished.It is very popular in applications like Wall Cladding, Flooring, Pool Surrounds, Coping. 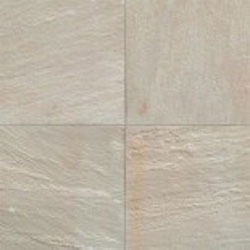 Due to the uprising demands of our customers, we are engaged in offering an exquisite range of Modak Sandstone Tile. Modak sandstone is a stone with mix of colors from Light Pink to Dark Brown & yellow with dark brownish veins. This stone has a hard stone with the presence of quartz grains. Modak sandstone is most suitable for use in flooring, wall fixing and lining due to its physical and chemical properties. For the miscellaneous requirements of our clients, we are engaged in offering a wide range of Agra Red Sandstone Tile also known as Dholpur Red sandstone. It is one of the most famous varieties of sandstone ever since its use in Agra Fort and Delhi Fort. The stone has high degree of tolerance that does not show weathering effects even for ages. The stone being smooth and soft is easy to be carved and cut and is therefore used in stone handicrafts.